The couple was instrumental in formalising the Blok Group, of which Szymon Syrkus was a member, in the Praesens group (1926–1929), which was founded by the spouses and named by Helena, and in the international CIAM Modernist Movement of Architects headed by Le Corbusier (1928–1957). The Syrkuses' architectural output may be limited, but remains important for many reasons. Their constructivist villas and apartment buildings from the 1930s, built chiefly in Warsaw, have a delicacy and refinement that rivals the architecture of Le Corbusier. They often show a soft, "feminine", wavy contour of the walls which disrupt the hard geometry of the white "boxes" with their sculpted transposition of the dynamics of the body in motion. But for the history of the avant-garde their theoretical texts are significantly more important, in particular Szymon's article "A Preliminary to Architecture and The Tempo of Architecture" (1926–1927)(1), his theater designs, which are among the foremost achievements in the international avant-garde history (including the experimental design for the Symultaniczny Theater, developed in 1930 with Andrzej Pronaszko and based on the theoretical principles of the Totaltheater of Walter Gropius from 1927), and finally, the model housing estates for the Warsaw Residents' Co-op in Rakowiec (1930–1937) and Koło (1947–1952), where the Syrkuses experimented with concepts of the social housing estate. "Considering the tenuous situation we all find ourselves in, [when] death has become such an everyday event, it does not seem premature to write out one's final will." Thus wrote Helena and Szymon Syrkus to their lawyer, expressing the desire to bequeath their summer cottage (with its extensive library) in Serock near Warsaw, to serve the needs of young architects. The Second World War interrupted the Syrkuses' promising international career, perhaps the most dazzling in the history of Polish architecture and its theory. The Syrkuses were one of those modernist architect couples who created a sort of miniature artistic group. Helena's intellectual horizons and interests, spurred on by her social acquaintances with Warsaw artists and writers, compelled her to combine her architectural studies at Warsaw's Technical Academy with drawing lessons from Roman Kramsztyk, philosophy studies at the University of Warsaw, and lessons in a handful of languages. These led to work as a translator of literature, and allowed her to function freely in international circles. Though she never received a degree in architecture, she started working professionally in this field in 1925 as the wife of Szymon Syrkus. Their workshop on the fourth floor of the building of Senatorska Street 38 neighbored the workshop of the avant-garde painter Henryk Berlewi, creator of "Mechano-Texture" and one of the co-creators of Blok, and hosted avant-garde meetings. The Syrkuses initiated the Praesens group here, and the "Kwartalnik Modernistów" [Modernist Quarterly] was published under the same title. This approach to the design process does not permit us to define the Syrkuses' individual input in the joint projects. This was of small importance to these proponents of the avant-garde, however, as their doctrine was founded on the modernist paradigm of universality, in which a figure was perceived in the abstract, stripped of gender identity, the model New Man. Thus Helena declared outright that she was no feminist, because "you could distinguish female poetry (Jasnorzewska-Pawlikowska), female singing (it undergoes no mutation), and sometimes female painting (Marie Laurencin), but architecture and urban planning are teamwork, and I am not an example of single-gender creativity. "(4) The Syrkuses never abandoned this leftist view of collective work in architecture and design. The Praesens program, formulated by Szymon Syrkus in his Preliminary to Architecture, concluded with the equation: "architecture + sculpture + painting = a new composition for building residential systems and systems for collective life." This formula was the theoretical foundation of the work of the architects and artists in the Blok group, which Szymon joined in 1925. Along with Mieczysław Szczuka and Teresa Żarnowerówna, he developed a few theoretical residential designs and took part in the renowned First International Exhibition of Modern Architecture in Warsaw (1926). Conflicts between the visual artists and the architects, however, prevented the creation of a joint theoretical program, which the Blok members formulated from a visual arts perspective. This hope was passed on to Praesens, though in spite of the dominance of architects, here too the response to the new group was less than favorable; Mieczysław Szczuka, the leading figure in Blok, outright called Syrkus "an architect-scribbler," and "a clever salesman devoid of skill. "(5) This negative aura surrounding Syrkus was reinforced by the plagiarism that was revealed at the National Exhibition in Poznań in 1929. 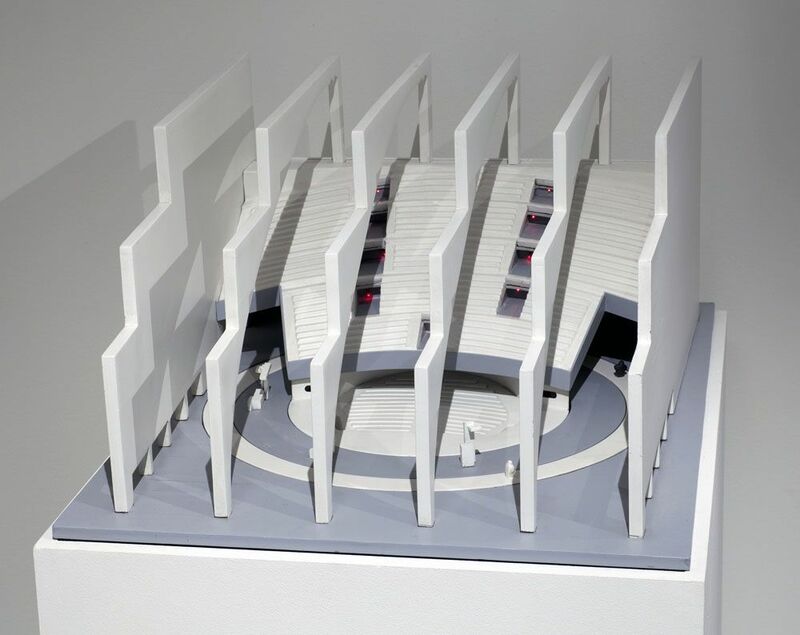 The Artificial Fertilizer Pavilion (with interiors designed by Helena) the Syrkuses designed stole from Katarzyna Kobro's Unist Spatial Sculpture 2, shown in the Praesens wing in 1926. The affair had little effect, however on the Syrkuses' international position, which they owed chiefly to their participation in CIAM. The Praesens group they represented held a position in this elite organization as one of the most prominent Polish architectural communities. The Syrkuses attended all the CIAM gatherings, beginning with the 2nd Congress in Frankfurt am Main, organized under the slogan "Compact Apartments" (1929). Included in their presentations was an innovative regional design called "Functional Warsaw," developed in 1934 by Syrkus and Jan Chmielewski, and displayed with resounding success in 1937 at the 5th CIAM Congress in Paris. The Syrkuses were worldly people. 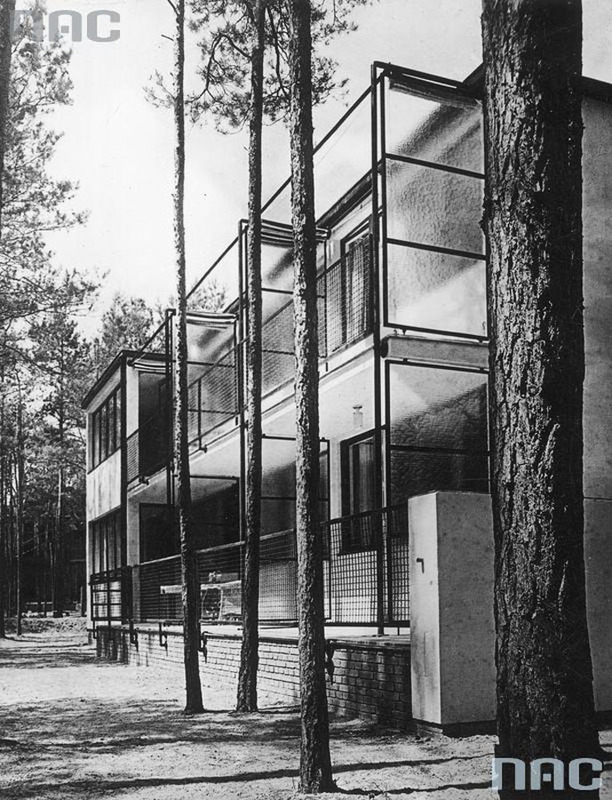 They knew the Polish and international avant-garde elite of the time, from Le Corbusier to Picasso, whom they hosted at their summer house on the Narew in 1948. As the secretary of the CIAM congresses, Helena worked with Le Corbusier as a translator. She and Szymon were in the inner circle of the editors of Charte d'Athènes (1933). She even wrote the foundation principles for the innovative Pavilion for New Times by Le Corbusier, exhibited at the "Art and Technology" World Exhibition in Paris in 1937. Le Corbusier fascinated her, as did Walter Gropius, with their collective work method, views on the social role of women, and new family structure, as well as their housing estates of skyscrapers with networks of collective amenities (shared kitchens, mechanical washing machines, children's rooms, clubs, etc. ), which were meant to help the professional working woman with household chores, and care for children and the elderly. These Gropiusesque small spaces full of light and air, determined by a person's biological needs, were commonplace in the Syrkuses' designs. (6) Helena's acquaintance with Gropius transformed over time into a close friendship; after he immigrated to the United States in 1937, he tried to extricate the Syrkuses from Fascist Europe by proposing them a job at Harvard University, and when he discovered that Szymon had been taken to Auschwitz in 1942, Gropius wrote a letter to Pope Pius XII, asking for his intervention. The Syrkuses did not leave for the USA until 1946, officially accompanying the heavily promoted "Warsaw Accuses" propaganda exhibition, and, unofficially, to nurse Szymon back to health after the ravages of the concentration camp and to give some lectures at American schools (including the New School of Social Research in New York; the New Institute of Design in Chicago, and Harvard University in Cambridge). 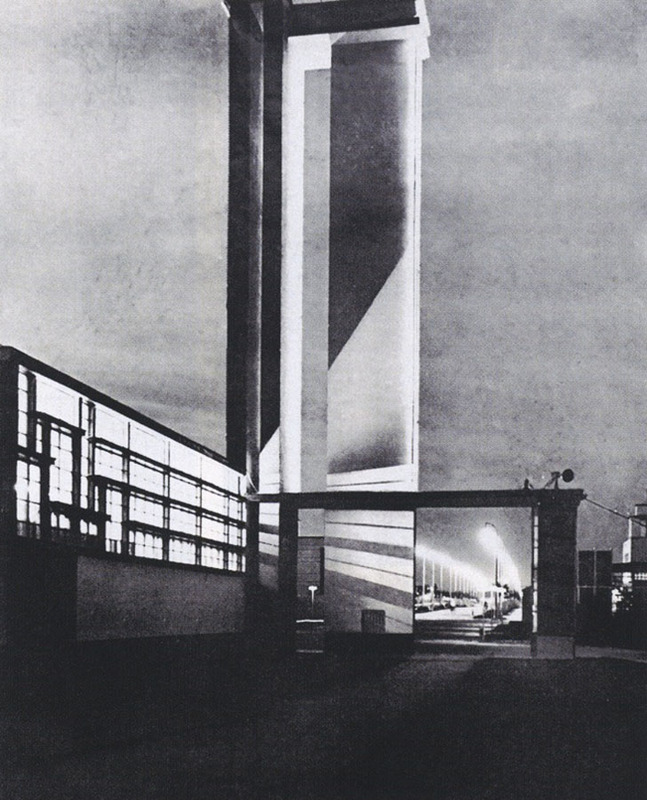 The Syrkuses formulated their architectural and urban-planning projects in a way typical of the first avant-garde, based on painting and sculptural concepts. Doubtless under the influence of Le Corbusier, who came to architecture through painting, Helena considered painting to be the source of functional architecture. She was enthusiastic about the cubists and about Malevich, whose success she put down to Bauhaus spatial and architectural concepts, which she interpreted as a "sublimation of purely architectural spatial elements. "(7) The Syrkuses knew Malevich personally and had published Helena's translation of his Suprematist theory from the essay The World as Objectlessness in "Praesens" (1926, no. 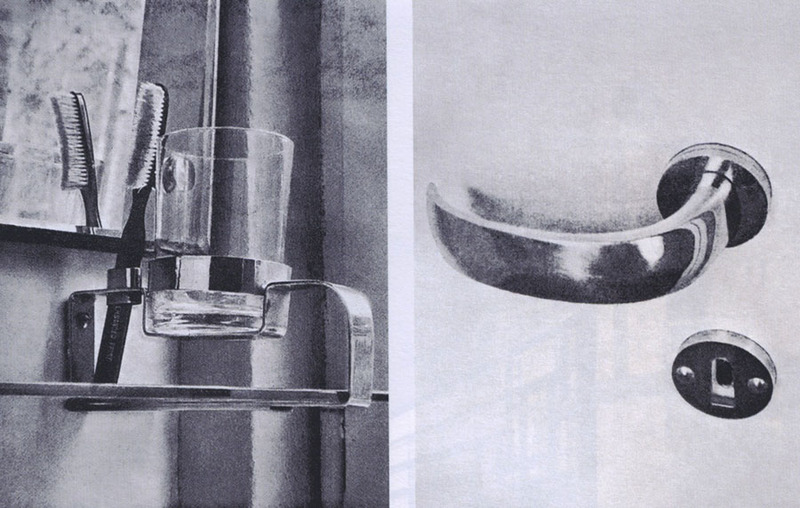 1), which influenced their aesthetic concepts and found expression in their own designs. (8) In Poland, Malevich was seen not just as a painter and a theorist, but also as an architect. After the war, this fascination with him served as a pretext for the social realists' brutal attack on the Syrkuses. They were declared modernists who were "harmful" to the doctrine of social realism, advocates of the Le Corbusier esthetic of the bare white wall, while the genesis of their renunciation was put simply: it was the effect of studying the strain between forms and Malevich's Suprematism, the work of that false prophet, a "bad advisor and non-authority"; appealing to him could only lead to the fact that the Syrkuses' constructivism – a "product of the profound crisis experienced by architecture in the last phase of capitalism" – "terrified the viewer." The Koło housing estate was thus at one point described as "the most extreme form of harmful formalism and subjectivism, the result of Malevich's influence" and the application of "purely abstract and subjective principles derived [...] from [his] Suprematist mysticism. "(9) This attack demonstrated the brutal post-war methods in the ideological struggle between architects and their new ideologists; it was all the more tangible in that it took place when the Syrkuses had abandoned their pre-war sympathies and declared themselves in favor of communism and social realism. During the occupation period, the Architecture and Urban Planning Workshop [PAU] that they ran was already geared toward the leftist issues of the future Socialist Warsaw. The team working in PAU during the occupation gathered together nearly 100 architects, geographers, sociologists, and economists from the leftist community of the Polish Society for Housing Reform, the one-time Praesens, and the Workers' Housing Estate Association. After the end of the war this work stood as the basis for the Capital Reconstruction Office (BOS) program. Helena Syrkus, a member of the Polish Workers' Party from 1944 onward, devoted herself entirely to socialist propaganda, becoming an advisor to Bolesław Bierut in the "social adequacy" of the function of architecture and art. The conversion in the Syrkuses' political and esthetic sympathies also embraced both Picasso Le Corbusier, who had only recently been their unquestioned master. With the enthusiasm of neophytes they declared outright that their Żoliborz school of social urban planning was "entirely in accord with the biological premises of Le Corbusier's theories, but in no way accepts all the conclusions for city planning that he derives from these premises. Some of his spatial urban planning solutions fostered in the soil of capitalist Paris would be anachronistic to us in the year 1945/1946. The decree to communize land creates a basis in Warsaw for other forms of metropolitan housing estates, essentially ensuring all the citizens of the capital access to the ‘basic pleasures' – sun, greenery, and air. "(10) At the 7th CIAM Congress in Bergamo (1949), Helena tried to convince the old CIAM-ites of the virtues of social realism, and she declared Le Corbusier, her friend and idol of many years, a man of foreign ideology. How to weigh the Syrkuses' achievements in our era? It is true that they played a key role in the inter-war era in forming the avant-garde, but Jerzy Sołtan was correct in saying that, as architects, they were not talented visionaries, and they were always stronger in theory than in practice. The Syrkuses' critical texts of the 1920s and 1930s are surely some of the key works in the history of the avant-garde. Their social housing estate programs are important for the history of architectural thought, though they were never entirely executed, and remained only a utopian dream of a social-modernist Arcadia, as conjured up by leftist architects of the day. We now know that the Syrkuses' socio-architectural, modernist design, based on large-plate industrialized construction technology, turned out to be a catastrophe in post-war practice. Their vision of the new architecture did not come true, just as their will was never executed: the summer hut on the Narew never became a "social" venue, and their valuable library and art collection was scattered and destroyed. Helena Syrkus (1900-1982) was born Helena Eliasberg, she changed her surname to Niemirowska in 1922 in the interests of assimilation, and thus published translations of literature. In 1925 she married Szymon Syrkus. She studied at the Architecture Department of the Warsaw Technical Academy (1918-1923), studied drawing with Roman Kramsztyk (ca. 1920), and philosophy at Warsaw University (1923). She was a co-founder of the "Praesens" avant-garde group (1926-1929), and a member of CIAM (1928-1957, vice-chairwoman 1945-1954). She co-edited Charte d'Athènes (1935), and was a member of the Polish City Planners' Association. In 1950 she began lecturing at the Architecture Department of the Warsaw Technical Academy. In 1944 she joined the Polish Workers' Party, and in 1948 the Polish United Workers' Party. All of her designs and executions and the majority of her publications were produced from before 1939, including those in "Dom. Osiedle. Mieszkanie," "Praesens," and "Wnętrze" (together with Szymon Syrkus). Her books included Ku idei osiedla społecznego / Toward the Idea of the Social Estate (1976) and Społeczne cele urbanizacji / The Social Aims of City Planning (1984). Text originally published in Out of the Ordinary. Polish Designers of the 20th Century, edited by Czesława Frejlich and published by the Adam Mickiewicz Institute (Warsaw, 2011) in cooperation with the Karakter publishing house. Translation by Søren Gauger, edited for the purposes of Culture.pl by Agnieszka Le Nart. (1) Printed in the "Praesens" Modernist Quarterly nos. 1 and 2. (2) H. and S. Syrkus, Uwagi o konstrukcji sprzętów, "Wnętrze" 1933-1934, no. 7, pp. 123-131. (4) Helena Syrkus's notebook in the Library of the Architecture Department of the Warsaw, note of March 16 . (5) Manuscript, [untitled], "Dźwignia" 1927, no. 1, pp. 55–56. (6) H. Syrkus, Ku idei osiedla społecznego 1925–1975, Warsaw 1976, p. 111. (7) H. Syrkus, ibid, p. 327. H. and S. Syrkus, Rodowód architektury funkcjonalnej, "D.O.M." 1938, no. 6–7, pp. 16–34. (8) H. Syrkus, Kazimierz Malewicz, "Rocznik Historii Sztuki", 1976 pp. 147–158. (9) J. Minorski, Oblicze współczesnej polskiej twórczości architektonicznej, [in:] O polską architekturę socjalistyczną. Materiały z Krajowej Partyjnej Narady Architektów odbytej w dniu 20–21.VI.1949 w Warszawie, Warsaw 1950, pp. 140-141. (10) H. and S. Syrkus, Pionierzy urbanizmu społecznego. Wyjątek z odczytu na kursie dla robotników i pracowników umysłowych SPB Warszawa Żoliborz 2.03.1942, "Skarpa Warszawska" 1946, no. 2, pp. 3–4. (11) Ogólnopolska Narada Architektów, "Stolica" 1956, no. 15, pp. 6-7.